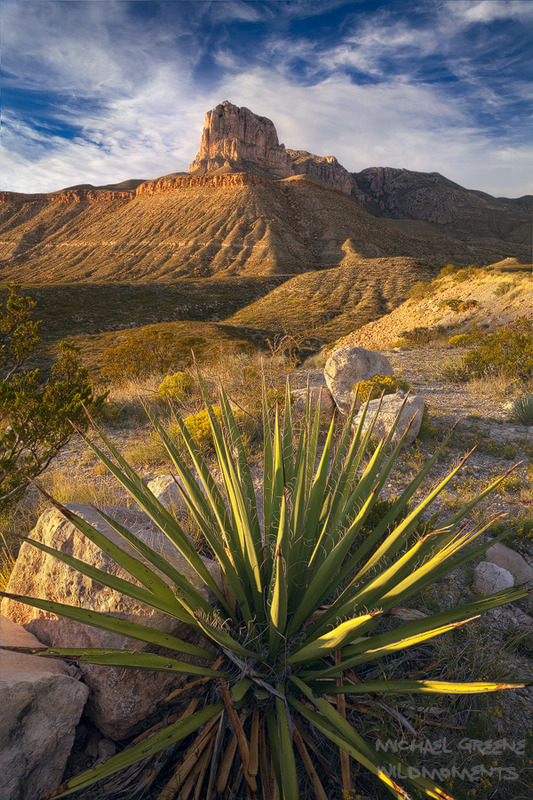 At 8,064 feet El Capitan is the 8th highest peak in Texas and the southern escarpment of the Guadalupe Mountains. Shown here in the late afternoon framed by an agave. Photo © copyright by Michael Greene.